Media Contacts: Daryl G. Kimball, executive director, (202) 463-8270 ext. 107; Kingston Reif, director for disarmament policy, (202) 463-8270 ext. 105; and Zia Mian, member of the board of directors & co-director of the Program on Science and Global Security at Princeton University, and co-author of Unmaking the Bomb, 609-258-5468. Sponsored by Austria, Brazil, Ireland, Mexico, Nigeria, and South Africa, the resolution (A/C.1/71/L.41) was approved by a vote of 123 to 38 with 16 abstentions. The United States and other nuclear-armed states voted against the resolution. The proposal will be considered and likely approved by the General Assembly in the coming weeks. The resolution follows three international conferences in 2013 and 2014 to consider the humanitarian impact of nuclear weapons use and discussions by an open-ended working group on nuclear disarmament in 2016. “Today’s vote marks a new phase in the decades-long struggle to eliminate the threats posed by nuclear weapons. In order to attain a world free of nuclear weapons, it will be necessary, at some point, to establish a legally-binding norm to prohibit such weapons. As such, the pursuit of a treaty banning the development, production, possession and use of nuclear weapons is a key step along the way. 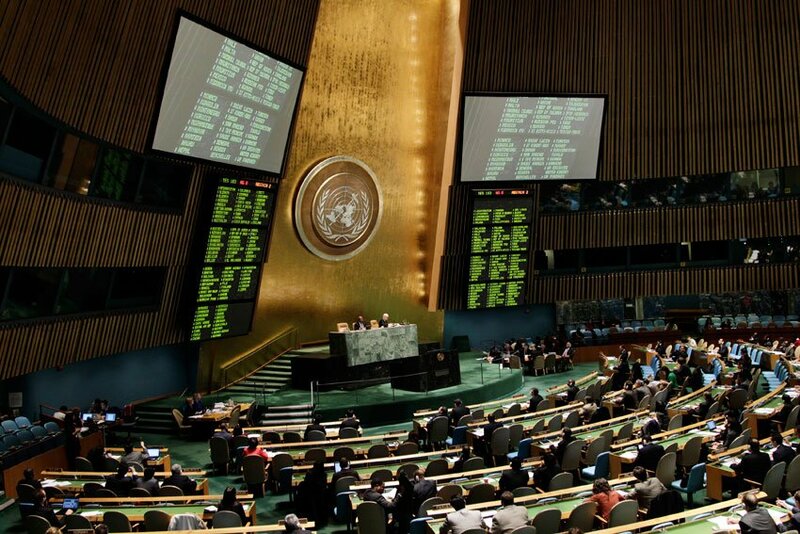 Although the world’s nuclear-armed states will likely boycott the negotiations on a nuclear weapons ban, this unprecedented new process could help to further delegitimize nuclear weapons and strengthen the legal and political norm against their use—a worthy goal. The strong support for negotiations on a ban treaty needs to be understood as a logical international response to the growing risks and catastrophic consequences of a conflict between nuclear-armed states, the accelerating global technological nuclear arms race, and underwhelming pace of progress by the world’s nine nuclear-armed states on nuclear disarmament in recent years.